Comparing New Zealand pop singer Kimbra and rapper Nicki Minaj may seem odd at first, but the similarities are there. The obvious, surface one being that they both rose to fame (in America) with guest verses on popular songs. Minaj appeared on many tracks before releasing her own music, and though Kimbra has already found success in New Zealand, her verse on “Somebody That I Used to Know” by Gotye, helped her exponentially in the States. Now, her debut album , Vows, is getting a release in this country, and it will have to survive on its own merits. Vows greatest strength, unsurprisingly, is Kimbra’s vocal abilities. She coos like a lovesick child on tracks like “Settle Down” and “Come Into My Life”. Then she does a complete 360 and belts her heart out in “Sally I Can See You” and “Old Flame”. In between these extremes she calms down for the occasional early-2000’s Destiny’s Child-esque slow jam “Something In the Way You Are”, or the gratingly banal ballad “Two-Way Street”. This extreme variety, jumping between vocal styles and genres, holds her other major similarity to Minaj. Though not quite as schizoid as the female Wheezy, Kimbra never stays in one place too long. There are glimpses of an authentic personality behind the pop songs, but it never has the chance to grow. Of course, in pop music, one wouldn’t think that authenticity would be necessary. There should, however, be some semblance of a persona at the very least. 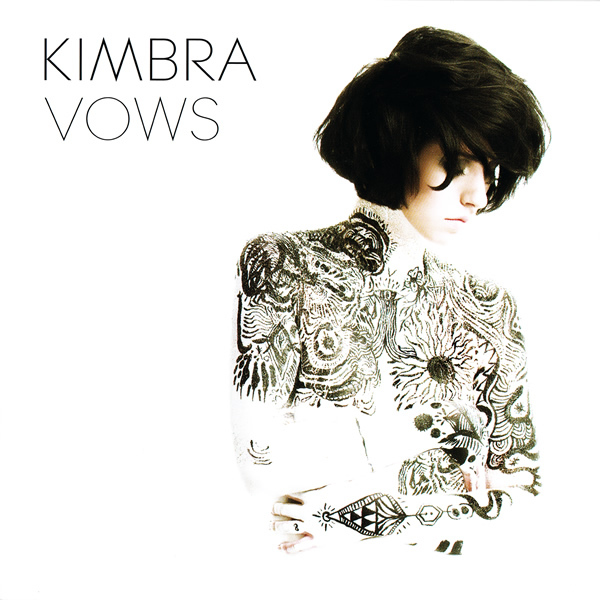 On Vows, Kimbra not only fails to make an artistic statement, but a personal one as well. It’s impossible to know what a Kimbra song sounds like, but even worse, impossible to know what one feels like as well. Maybe there is a solution however. Kimbra isn’t a terrible songwriter, but excepting the occasional gem (“Settle Down”), she isn’t a terribly gifted one either. The album’s best track (besides “Settle Down”) is “Plain Gold Ring”, the only one not written by Kimbra herself. The track is less obsessed with showing off her voice, therefore capturing it much better. Most of the other songs seem like a declaration that Kimbra can tackle any genre. Vows is full of cliché ideas (“love is a two-way street”, for example), and genres we’ve heard plenty over the years, but at least Kimbra is trying to mesh them in some new way. However, by putting too much focus on what her voice can do, that experiment largely fails. The listener will become fully acquainted with her rich vocals, but only at the risk of losing touch with the songs built around them.